How to make big progress with Sketching Challenge ? It’s 11am here in France. 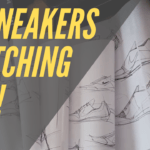 I am starting a 7 meters of “Sneaker Sketching Challenge” ! 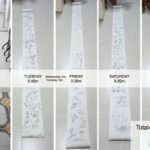 A while ago I even did a 18 meters roll of Concept Art Sketching Challenge in 7 days ! Uhuh !! 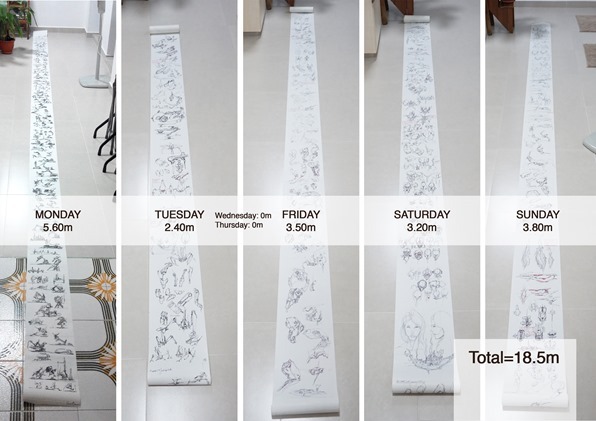 * 18 meters of paper roll Concept art Sketching Challenge in 7 days. Today I decided to do it again with a New Challenge on SNEAKERS. For this new challenge, I am adding an innovation: Sketchbook Pro. 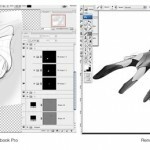 Because Sketchbook Pro is one of industrial and transport designer’s top favourite sketching tool. I love using it with my macbook and tablet. 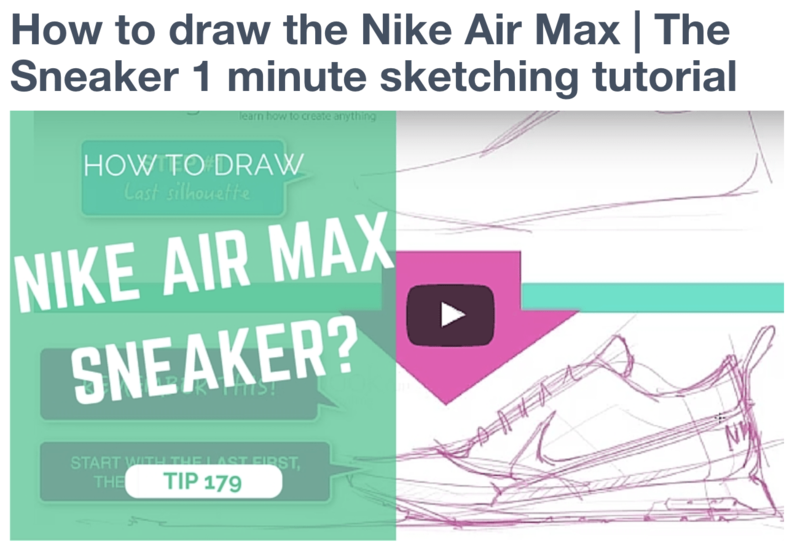 I thought you could install it on your computer or iPAD and participate at the “Sneaker Sketch challenge” with me ! If you are a beginner, you can start the sketching challenge with 1 meter width. 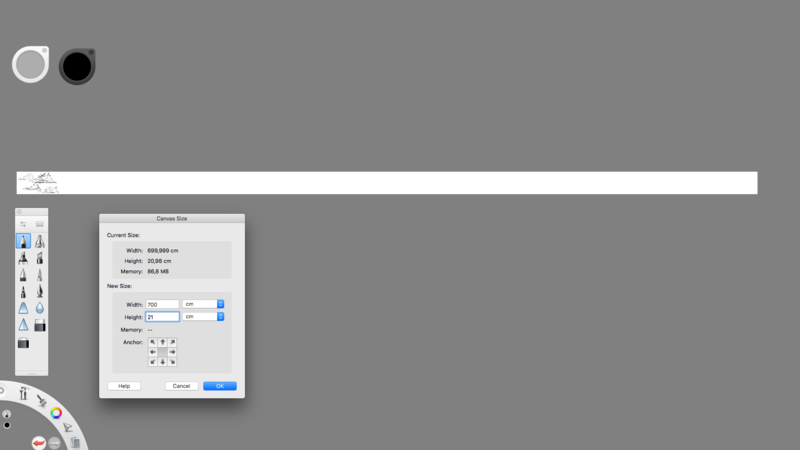 (To edit your canvas size, press IMAGE / CANVAS SIZE. It is already pretty much already an ambitious Challenge ! I may also publish some moments on Facebook LIVE. What are the benefits of making such big Sketching Challenges ? to make a change in your life. If you have a busy life, practice whenever you can, it is ok. But I invite you to also enjoy the pleasure of a long sketching session too. 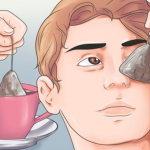 You may still say you are really busy ? But then, just remember what’s your priority : Live for being busy or Live for your passion ? I am confident you will find or create the time. I am sure you will find a way to create that time for her or him. Right ? It’s exciting and it spices up your life ! out of your comfort zone ! But if you think twice, you decline. Why ? (looking at your cute belly button). Remember, the world doesn’t wait. To progress and catch up, you gotta do something new that make you UNCOMFORTABLE. It is ok to feel intimidated. That is normal. That means, it is something that matter to you. (It is ok to feel shy in front of a girl or a boy you like. the best roll of sketches yet. to focus on one task : Sketch. Do something that matter to you. Or you will forever ignore the possible outcome. Sketching for a long session can make you progress x100 times more than 1 year of procrastination. Is it worth it ? definitely yes :). Of course it is not gonna be easy ! Especially as you may not have the sketching skills yet. But if you have fun, it doesn’t matter ! As the best way to start, is to make a first step. Let me give you a TIP I will use myself in the challenge to help me keeping the flow: Use reference pictures when you draw. Do not try to copy exactly what you see. But feel the lines to inspire you. You will see in the video the importance to focus first on the proportion with the “shoe last”, then only you can focus on the design and details. See you on Facebook Live ! 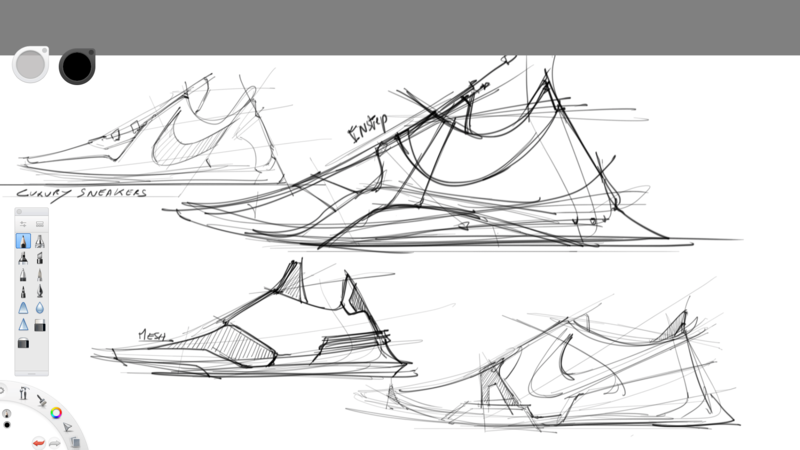 PS: I am preparing a Sneaker Sketching course for whom wants to go to the next level with me. To do so, I am thinking of a Beta-Test session to register before the official release. I will welcome a few people to join in only and exchange feedbacks.